ARE YOU RELOCATING TO MARYLAND? Maryland has lots to offer EVERYONE! If you decide to live in Baltimore City, Baltimore County, or Harford County you are only 3 hours away from the beach and 2 hours away from the mountains and ski slopes! Maryland is very unique and you will be sure to enjoy all 4 seasons of our weather! In the FALL we get to see all of the leaves change color, in the WINTER we get to see SNOW (the amount depends on where you live), in the SPRING we get to see all of the fresh flowers and plants bloom, and in the SUMMER we get to enjoy the SUN at OUR BEACH! 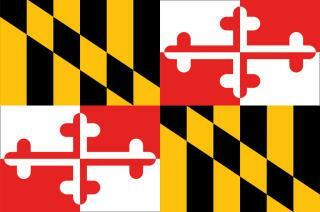 Maryland is also home of some of the BEST Hospitals and Institutions of higher education in the world! So whether you enjoy boating, skiing, mountain climbing, hiking, biking, camping, nature, golfing, beaches, fishing, sporting events, eating crabs and seafood, horse racing, site seeing, or gambling (live table games) MARYLAND SURE HAS SOMETHING FOR EVERYONE TO ENJOY! ARE YOU RELOCATING OUTSIDE OF MARYLAND? I CAN STILL HELP YOU FOR ABSOLUTELY NO COST TO YOU!!!! Simply fill out the contact information in the box on the upper right hand corner of the page and let me know where you will be moving to and when! Then I will contact a top producing agent in your immediate area wherever you may be moving to (in or out of the country)! I know what it takes to be a successfull real estate agent in the current real estate market and will personally research, interview and locate you an agent that is the right fit for you and your specific situation. THE BEST PART IS THIS COST YOU ABSOLUTELY NOTHING! Even if you are being relocated by your company and can only work with certain real estate brokers in the area you are moving to, I can still help! Just let me know what brokers you are required to use and I will help interview the agents for you to help you decide who is the best! Feel free to give me a call or text at your convenicne and I will personally discuss your situation and find a way to help you for absolutely NO COST TO YOU! What are you waiting for call, text or email me today!